iWest has over 35 years experience as a leading adviser and provider of risk financing, insurance, risk management and claims management solutions for Tasmanian businesses. We are a local Tasmanian broker, focussed on developing relationships and utilising our experience to deliver the most appropriate solutions for our clients. We provide professional insurance advice to Tasmanian associations, companies, partnerships, sole traders and individuals regarding risk identification and minimisation, policy selection and claims administration. At iWest we believe in developing strong relationships with our Tasmanian clients. The more we know about you and your business the better understanding we have as to what cover will suit you best. We stand for relevant and quality cover that matches your budget and your needs. We know that every Tasmanian business is different, and believe that you deserve the right amount of personal attention to get the perfect cover from your insurance adviser. We work hard to ensure that you are getting the most appropriate cover for your situation. No matter what size your business is, we partner with leading insurance companies like PSC Insurance Group, Steadfast Group, Johns Lyng Group, NIBA and Premium Funding to provide the right cover for you. Our cover includes, but is not excluded to, professional indemnity, workers compensation, office insurance, corporate travel insurance and general business insurance. Finding the right insurance for you is as simple as talking to one of our experienced and knowledgeable insurance brokers. 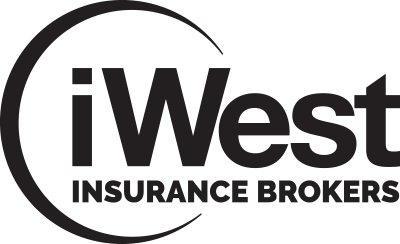 At iWest we believe in the real – not the symbolic – value of insurance. Cheap insurance might save you money in the short term, but glib cover inevitably doesn’t pay off when your claim isn’t paid.  You get what you pay for with insurance; here at iWest we aim to strike a balance between your budget and your insurance needs. We believe in quality at every step of the insurance process – from comprehensive policy selection to timely claims administration. Please contact our Tasmanian offices in North Hobart to find out how we can offer peace of mind to you and your business. iWest are located in the heart of North Hobart, Tasmania. We understand the region, the insurance markets unique to our state, and the types of businesses local to our community and their special risks and challenges. Our partnership with business insurance brokers networks, like PSC Connect, allows us great leverage in terms of our buying and negotiating power when times get difficult. We have experience dealing with a variety of industries that range from commercial fishing, SME industries, childcare, hospitality and tourism. We know how to communicate the ‘fine print’ in an easy and conversational manner so that you can purchase with peace of mind. iWest is able to provide clear, in-depth and comprehensive policies for our clients, whilst negotiating the best possible terms with well-established Australian insurers and underwriting agencies. We pride ourselves on our insight and integrity in delivering quality cover to our many clients. Call us today to find out what benefits a quality local insurance broker can make to your long-term financial and business security.